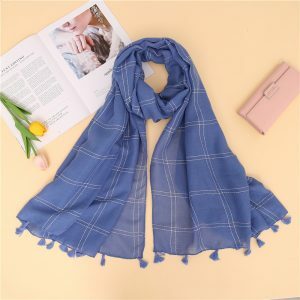 FEATURES High-quality cotton and linen raw materials, fine knitting, full material, soft handfeel, good drape, natural fluffy, convenient shape matching. Natural pleated texture, which seems to be casual and comes with a sense of quality. After many washing tests, no static electricity, no deformation, no ball. Natural plant dyes are used, safe and non-toxic, healthy and environmentally friendly, and the color is natural and lustrous. Advanced dyeing process, more solid color does not fade. 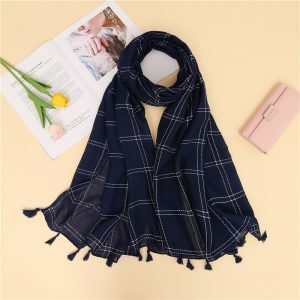 Large plaid pattern, more vibrant than a solid color scarf. 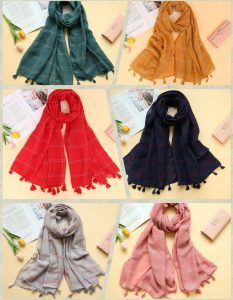 The tassel design makes the scarf more playful, more energetic and more academic.